Ignatius Leong, Chief Arbiter of the Chess Olympiad and General Secretary of the world chess association FIDE, surprised journalists at a press conference Tuesday, 03 June 2008.”We will have considerable renewals regarding the regulations in the 2008 Olympiad in Dresden,” the man from Singapore declares. For the first time, federations have to nominate their candidates until the fixed date of 12 September 2008. So far, changes in team compositions had been possible until a few hours prior to the beginning of the tournament. Moreover, FIDE also brings up the vexatious topic of early draws. Once before, there existed the rule that no draw is allowed before a certain number of moves had been made. This paragraph was violated by former world champion Bobby Fischer – without penalty. Now, the new rule states that no draws will be allowed before the 30th move. But the most important change is, however, that all players have to be at their table exactly at the beginning of play to shake hands, just like in any other sports, or else they will lose the match. Chess players have yet allowed themselves the luxury of being late up to one hour. 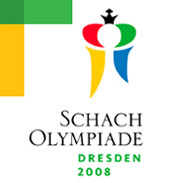 Even before these changes Dresden took on the title of being a ‘Reform Olympiad’. For instance, the number of rounds to be played was reduced from 14 to 11, match points are privileged over game points for team valuation, women teams were extended to 4 players and the number of reserve players diminished to one. Leong gave mark ‘excellent’ to the organizers for their perfect preparations. Dresden is far ahead of time with the planning of the event and proves ideal playing conditions. ‘Further steps promise fantastic conditions for the chess autumn in Dresden,’ also states the experienced tournament organizer.